The weight of aluminum strip is easily calculated. 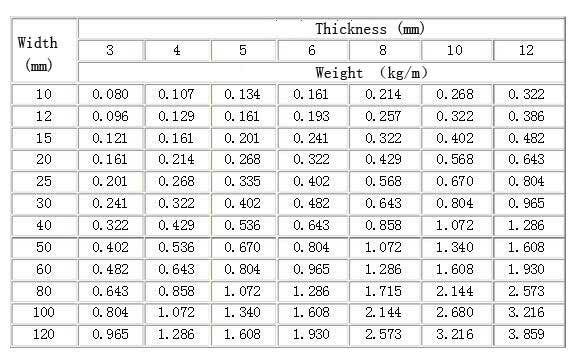 Simply multiply the appropriate alloy density (see chart below) by the length, width, and thickness of the required part (see worked example below and note that we have used the density of alloy 6061 as the basis for our calculations). For imperial weight calculations certain measurements (fractions) need to be converted to decimal inches. This entry was posted in aluminium strip and tagged aluminium strip weight per meter, aluminum strip. Bookmark the permalink.